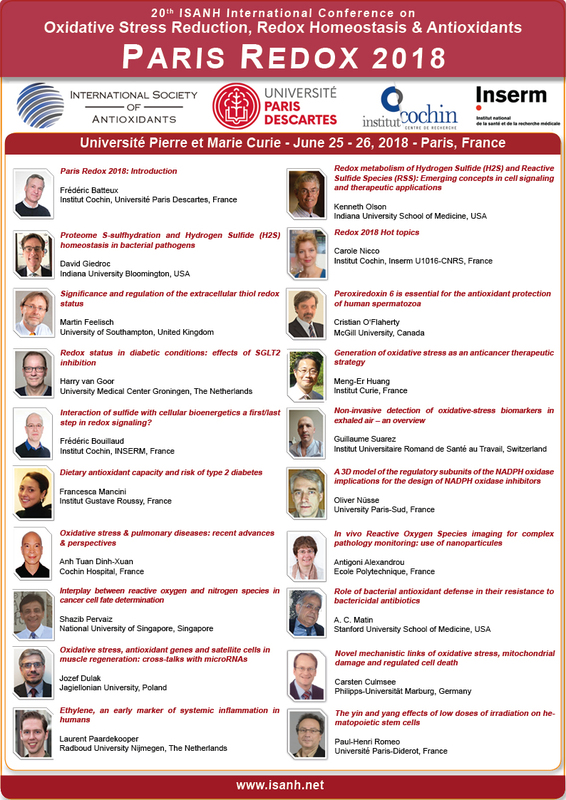 The scientific committee of Paris Redox 2018 awarded Dr Mattéa Finelli from Oxford University for her short oral presentation about "The novel TLDC proteins are neuroprotective against oxidative stress through modulation of the function of antioxidant and glycolytic enzymes". Dr Finelli’s research focuses on the role played by oxidative stress (OS) in the process of neuronal cell death, which is a key feature observed in many neurodegenerative conditions. Dr Finelli investigates the role of a family of proteins - the TLDc proteins - that are neuroprotective against OS. Dr Finelli described her novel findings on the mechanisms of action of one of the TLDc proteins: oxidation resistance 1 (Oxr1). She showed how Oxr1 interacts with the essential multifunctional enzyme, glucose-6-phosphate isomerase (Gpi1), and how it controls Gpi1 activity and functions through regulation of its oligomerization. This leads in turn to modulation of OS levels and neuronal cell survival.